I know how cool I look when I put on an awesome pair of shades, so why shouldn’t my home look just as cool? Before I go on please stop imagining my house wearing a gigantic pair of sunglasses, because that’s just silly. The kind of shades I’m referring to are solar shades. You know how the glare from the sun almost blinds you when you step outside or when you’re trying to sit back and relax on your porch? That’s where solar shades come in. The vertical drop screens stop up to 97 percent of the sun’s heat rays while diminishing glare. Think of them as sunglasses for your house that help to keep your closed in spaces amazingly cool and comfortable. If you’re looking for the same comfort on the outside of your home, Eclipse retractable awnings come in a number of choices to cool both the interior and exterior areas of your house. One is the patio and pergola solar shade that gives you all the cool with none of the confinement. Now I have no idea why some people choose to wear their shades on top of there head. It’s probably just a place to keep their sunglasses out of the way because it’s certainly not keeping the sun’s glare off of their heads in any significant way. If you want a good reason to keep shades over your head, try using a patio and pergola solar shade. Think of it as having shades that you don’t have to wear. Imagine reading without the sun leaving those annoying little spots in front of your eyes and being cool all over as opposed to simply having your eyes shaded. If a patio and pergola shade doesn’t seem like the right choice for you and your family, you can try a motorized retractable awning instead. 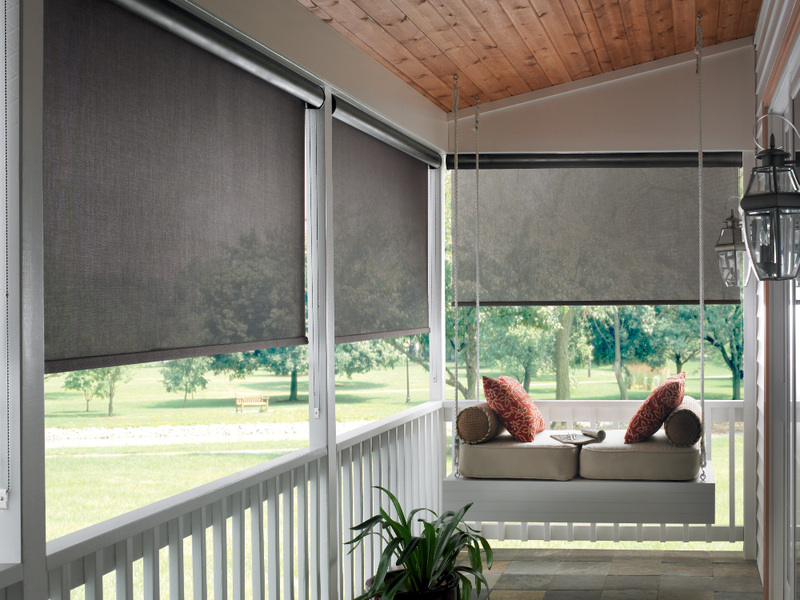 Pergola shades typically stay in one place, that’s just how they’re designed. It’s great if you want constant shade, but sometimes that isn’t the best option. Nobody wants to be trapped with barbecue smoke while they’re trying to grill, and it kind of defeats the purpose if your goal is to lay out and get a tan. A motorized retractable awning can fix both issues. Want a little sun? Simply push a button and send the awning back into its housing. Want to barbecue? Simply place your grill at the end of your patio or deck and allow the awning to keep the unused portion nice and cool. It’s like a shady oasis that you can run back to after you’ve flipped your food. No matter which shade or awning you choose, you’ll have it made in the shade.